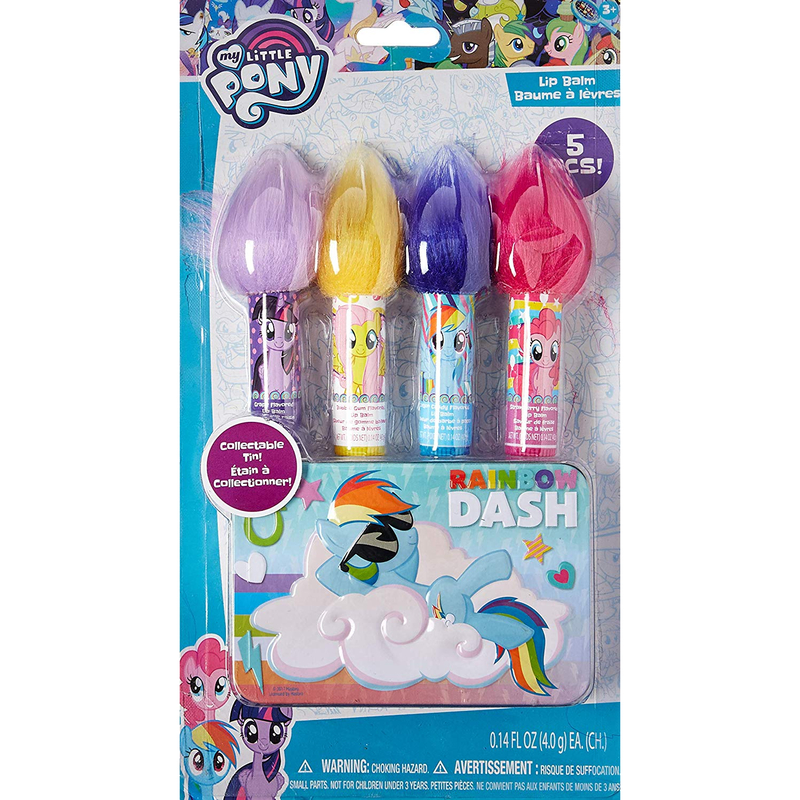 This lip gloss set includes four character lip balms: Rainbow Dash, Pinkie Pie, Twilight Sparkle, and Fluttershy. The tin fits all four of the lip balms so you can pack all these up and take them with you. The tin is collectible, featuring Rainbow Dash relaxing on a cloud. Great to share with friends. My Little Pony Friendship is Magic is a show beloved by everyone why else would we have bronies. MLP follows the adventures of Twilight Sparkle, Applejack, Pinkie Pie, Rarity, Fluttershy and Rainbow Dash as they figure out the true meaning of friendship. This lip gloss set includes four character lip balms: Rainbow Dash, Pinkie Pie, Twilight Sparkle, and Fluttershy. The tin fits all four of the lip balms so you can pack all these up and take them with you. The tin is collectible, featuring Rainbow Dash relaxing on a cloud. Great to share with friends.